That kind of thing shouldn’t happen when you are 28 and it made me have a quiet word with myself. I decided there and then that I needed to be doing something more productive with my life and I immediately marched outside shouted “Hello World!” and began to pursue my dreams. 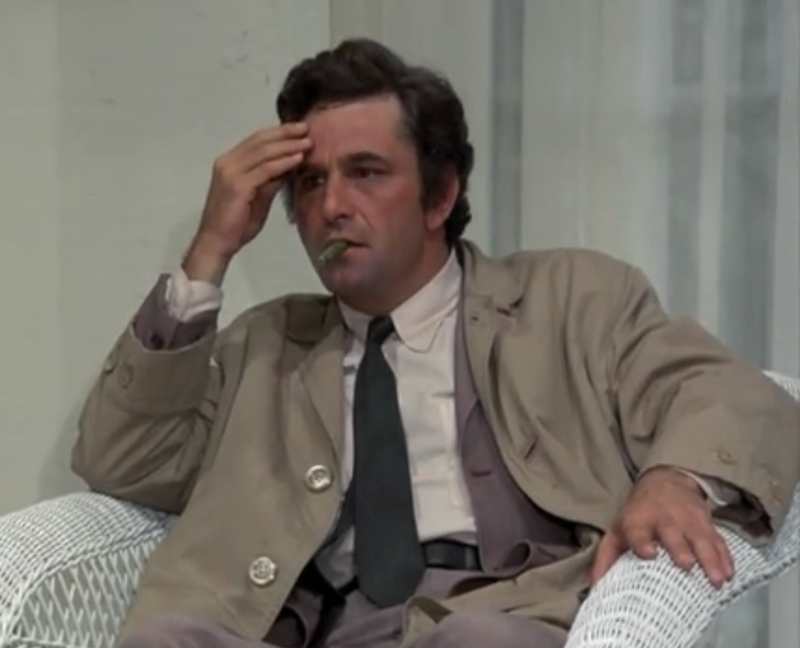 I thought about going outside but it was a bit cold so I just made a cup of tea and watched Columbo instead. Still, the idea stuck and the same day I googled “how to start a blog”, found WordPress and set up the site for Sophie, She Wrote. I also Googled “Wagamama delivery Manchester” but that STILL doesn’t exist. I don’t really know what persuaded me to write what is essentially a diary and put it on t’interweb for the world to see but 50 posts, nearly 15,000 views and 1 blog award nomination later here we are. Honestly, I know how annoying I am. I am aware that when I’ve had a wine or 2 I don’t stop talking, I make an idiot of myself and I talk so high-pitched you’d think I was on helium. It’s a miracle I still have friends although we’ve been pals for so long they don’t really have a choice anymore. But you do, Dear Reader. And yet you choose to spend your precious time (probably on the on the loo) reading my blog instead of the Daily Mail website. Also – Kelly Brook ate a sandwich!! Thanks Daily Mail. Call me cynical but I don’t believe she is actually eating this chocolate. Also why is she in the garage? Now we have all the lovey-dovey stuff out of the way I need to update you on my life this week. I went to a ball last night. Quite fancy it was too. I spent a large portion of the evening looking for my handbag convinced I’d left it somewhere and finding it under my chair. I don’t think I humiliated myself too much but when I walked into work this morning everyone said I looked “surprisingly” fresh, which is universal code for “you were much more drunk than you look like you were”. What did they expect me to look like? In other news I still don’t have my car back on account of the reckless driving last week. It should be back soon all safe and sound but in the meantime I’ve had to walk to the tram stop. It is surprising how many piles of sick you walk past in Altrincham town centre of a morning. People of Cheshire – if you must vomit, please think of others and do it in the toilet at Starbucks, or your handbag like a respectable human being. 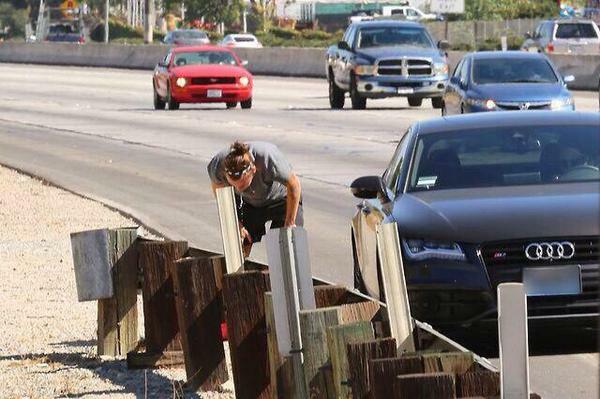 Harry Styles throwing up in public. nice one Hazza. Vomit aside, it is only a 20 minute walk but being very organised I leave myself precisely 11 minutes to do it in. This has resulted in me developing the world’s biggest blisters and hobbling round the office like an idiot. I don’t really need to walk around but I find I get more sympathy if I do. My wonderful friend Carly is off on maternity leave today. I’m pretty jealous to be honest. Not of the baby thing as lord knows I’m not ready for that, but I would quite like to stay at home and watch daytime TV for a few weeks. Course then she has to push what is apparently already a very large baby out of her hoo-ha so it’s not all good news. 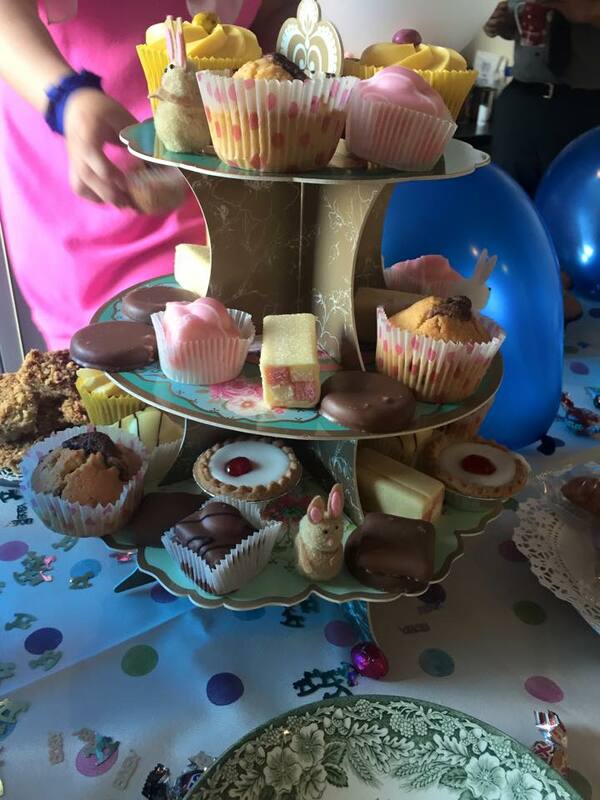 To celebrate/commiserate her leaving for several months we held an afternoon tea in the department. Normally this would be lovely but for me it represented the lifelong struggle I have with carbohydrates. In case you haven’t already heard about it I have given up bread, cheese, crisps and chocolate for lent. Very Catholic of me I know. People seem to be impressed with this, however, it is not a huge deal. Yes, I could eat the world in cheddar and I would happily sell my sister for a baguette but I am coming up with very clever ways of getting round it. Handy hint – cake isn’t bread! Hand on heart I’ve had cake for breakfast three times this week. 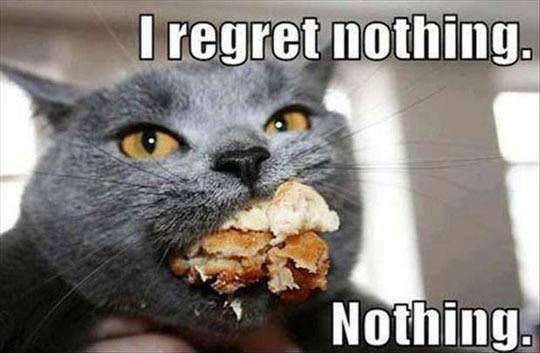 I even ate a doughnut this morning that was at least 3 days past its best. 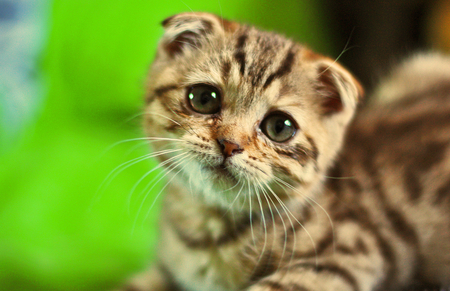 Don’t know why most of my pictures are of cats today but I’m ok with it. I have 11 weeks to get into Lycra. Effs. Right must dash – heading to my sisters for a night in watching TV. 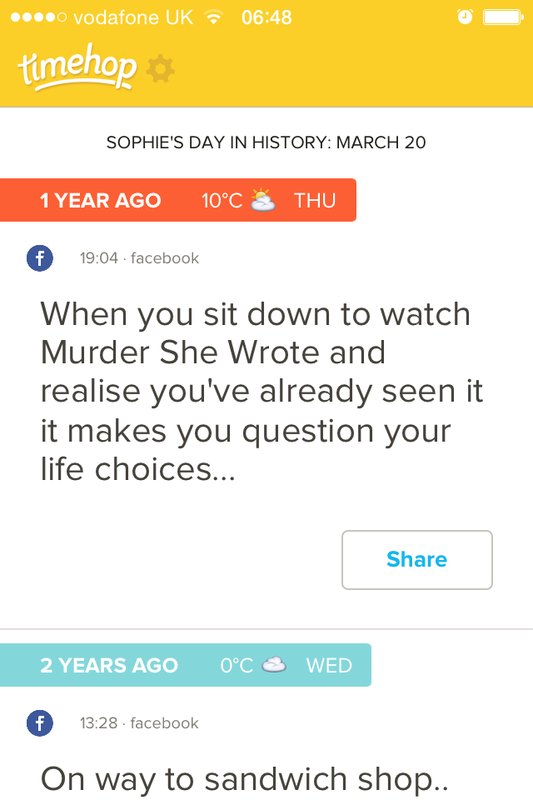 Oh the crazy life of a 29 year old! Thanks again for reading you lovely, yet possibly slightly strange, people. p.s. 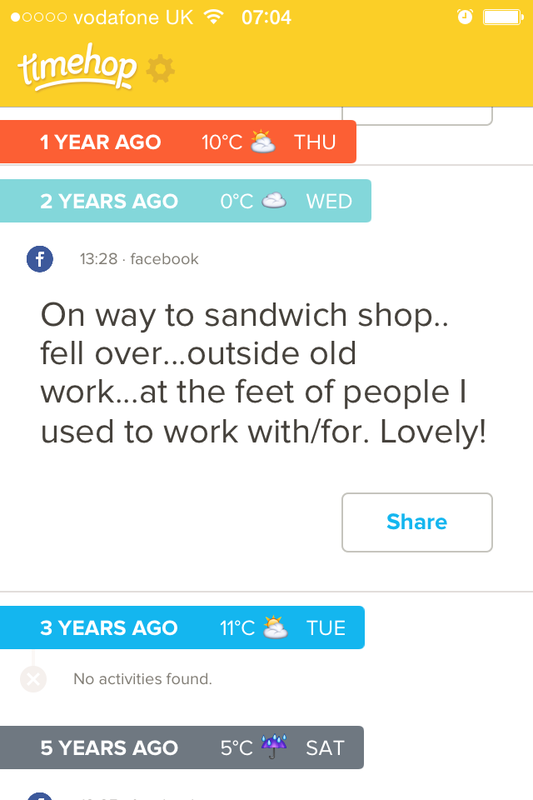 Timehop also told me that on this day 2 years ago I fell over in the middle of the day outside work. Classic Fox! OMG, where have you been all my life? This is the funniest goddam blog I’ve ever read. Thank you. Followed.